This is no surprise to educators, who know that one of our biggest challenges is effectively differentiating to meet the needs of every student. Nor is it a new problem. The above quote is from “The Classroom Teacher,” published in 1927. Luckily, we have new tools to help us effectively differentiate while maintaining our sanity. In an age when acronyms and educational programs are continually tossed at teachers—only to be discarded a few years later—it’s difficult to determine what will actually move the needle on student achievement. In the face of all this change, we can rely on at least one constant: Each student entering our room in the fall will come equipped with a different set of skills, support systems, and background knowledge. If we accept this constant, the necessary follow up question is: What can we do to provide students with what they need in order to be successful? First, we need to figure out where our students are. While teaching fifth grade, I had one student who was devouring algebra workbooks in her free time for fun and another student who couldn’t add double digit numbers. The typical fifth grade curriculum wasn’t the right match for either of these students. Without first learning where each student is, it’s impossible to provide them with what they need to grow. 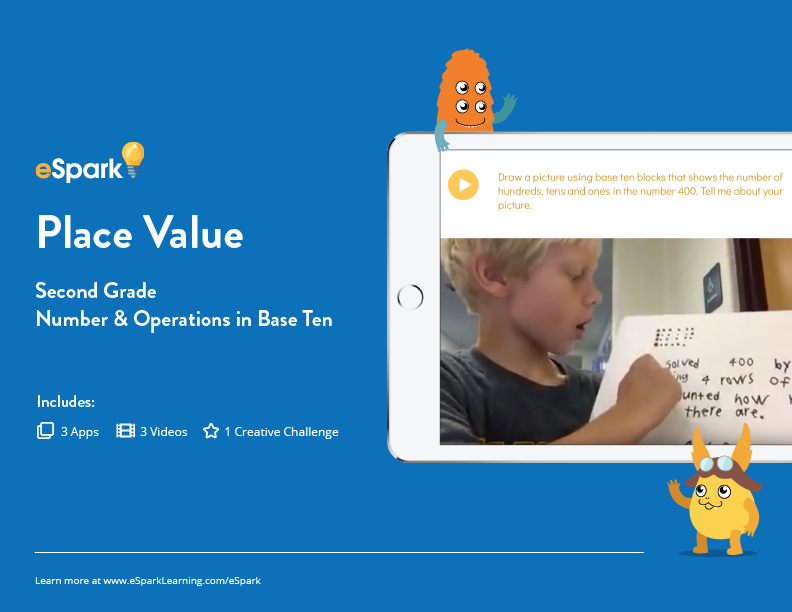 How we do this: At eSpark Learning, we use districts’ existing assessment data to provide students with educational apps, videos, and activities tailored to their unique learning needs. We recognize that a single test is not an exhaustive diagnosis of a student's ability and offer teachers the opportunity to monitor and adjust academic goals over the course of the year. If we see that a student is either struggling with or flying through material, we’ll automatically adjust the content presented to her. 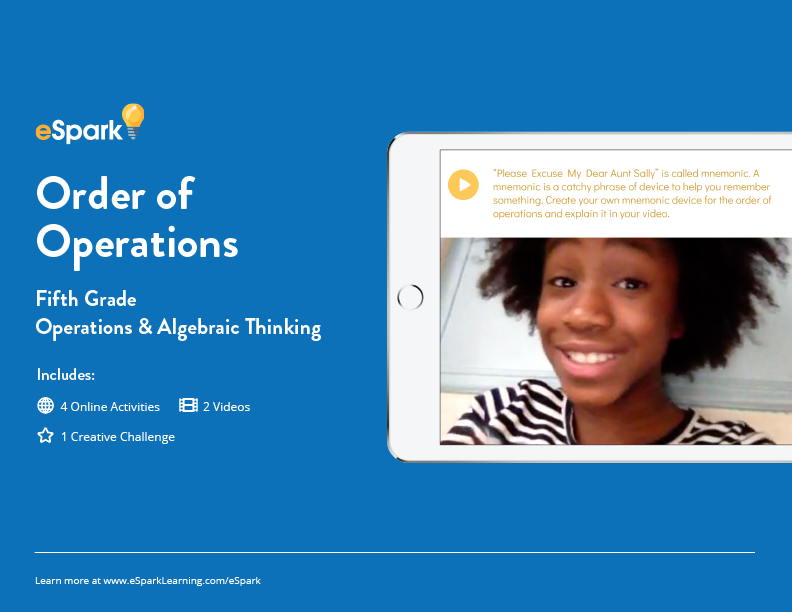 Our goal is for all students to stay in that Goldilocks zone of learning where they are continually engaging with apps and activities that push them to deeper levels of understanding. What you can do: Use whatever assessments or benchmarks your school has already implemented to get an understanding of where your students are at the beginning of the year. Alternatively, easyCBMM offers a free version of its math and ELA progress monitoring system that can help identify areas of need. No one assessment is perfect, but the information each provides can help guide you as to figure out what your students need. In addition, don’t forget to reach out to your colleagues; working collectively will benefit your students. In Pennsylvania’s Elizabeth Forward School District, classroom iPads are closing the achievement gap. Once we know where our students are on the learning continuum, we need to figure out which content and approach is best for each learner. These can take many forms: independent activities, books, 1:1 interventions, small group instruction and so on. Finding the best fit—high-quality content that we know will have a positive impact on student learning—is probably the most significant challenge in the differentiation process. The internet has changed how we view this hurdle and has opened our classroom doors to content creators from around the world. But along with this wealth of resources comes the added challenge of wading through options to determine what really works. How we do this: Our Learning Design team—made up entirely of former teachers—has spent years curating the best iOS, web, and video content available. We have made a conscious decision not to create our own content for the same reason libraries don’t only have books by a single author: learning, engagement and understanding is strengthened through a diversity of content. 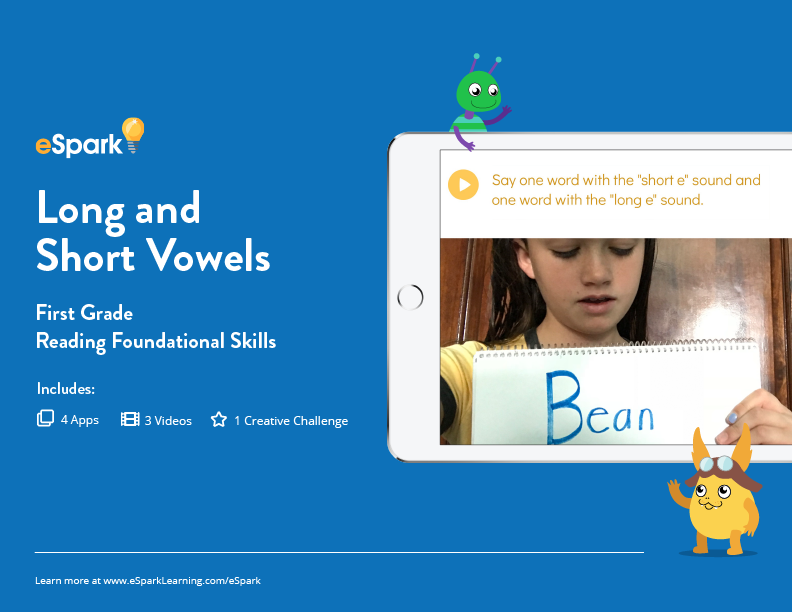 With that belief as our foundation, we provide students with a diverse suite of engaging apps, websites and videos to help them apply and extend their learning. What you can do: Since most teachers aren’t able to hire out a team to curate high-quality content, hubs of great resources are indispensable. Epic! is a fantastic and free resource for teachers; it unlocks a digital classroom library with thousands of books and videos. There is still the challenge of curating, but you can begin with vetted, searchable content that can be accessed by students using any web browser, or via iOS or Android. Once relevant content has been curated, organized and delivered, we need to figure out whether or not differentiation is working. When we speak of efficacy in this context, it’s helpful to use a series of questions to guide our thinking: Did students learn? Did students enjoy the process? How can we improve learning? Of course, there are nuances to each question. “Did students learn,” for example, can be broken down to determine the specifics of what students did and didn’t learn. Nonetheless, these guiding questions provide a good starting point for us to examine the academic impact of our efforts. 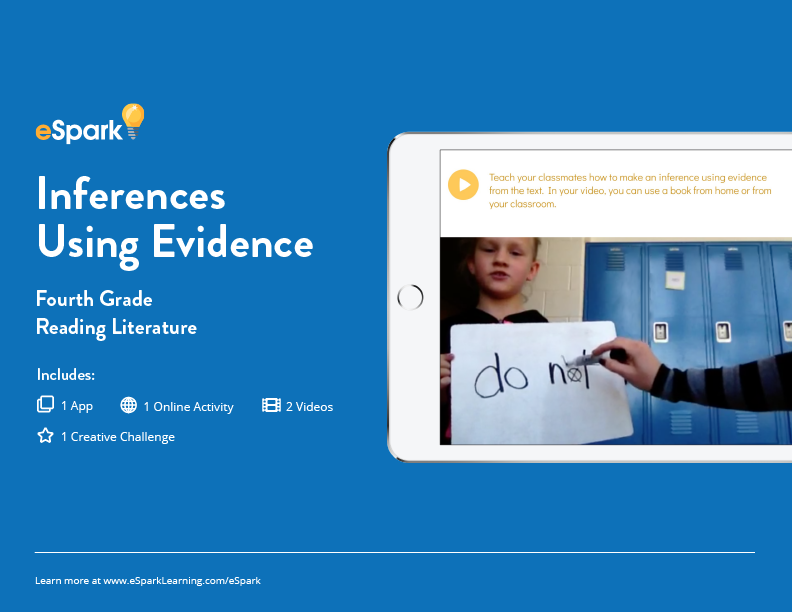 How we do this: In order to improve on our work and maximize student learning, we reflect on several points of data: eSpark’s impact on external measures like NWEA; our own internal measures of student growth; teacher and student feedback; and how students rate their levels of engagement. From there, we adjust according to what the data tell us: if students don’t like a particular app, we’ll remove it from the curriculum. If NWEA suggests one area of our curriculum isn’t as strong as others, we’ll target it for revision. What you can do:This last step really depends how you approach the first two. Most important is to be honest and flexible. Look at the information you have on hand, whether it is something like easyCBM, exit tickets you’ve created, or data recorded during small group instruction. Then ask yourself: Where did my students begin, and where are they now? From there, you can determine the impact differentiation is having on academic growth and engagement and adjust instruction, content or objectives as needed. When “The Classroom Teacher” was published in 1927, teachers struggled to address the range of skill levels found in their classrooms. Today, we don’t need to let the challenges of differentiation hold us back from achieving effective, engaging instruction. By using technology to streamline differentiated learning’s most challenging steps—identifying opportunities for academic growth, leveling content, and improving instruction over time—today’s teachers can be more prepared than ever before to efficiently meet the diverse needs of their students.